I cannot emphasize enough how important it is to thoroughly cleanse your face every night whether you are a heavy makeup wearer or not. I typically double cleanse. First, I remove my makeup with a makeup wipes followed by a cleansing balm/oil and then a regular cleanser using just my hands. 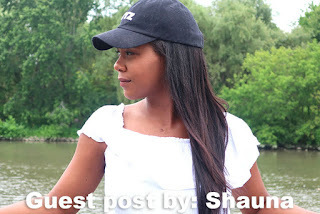 Is essential to keeping your skin looking radiant and healthy. While makeup wipes have been my tried and true tool for removing that first layer oil makeup, oil, dirt of the day, cost wise they can add up and they can be wasteful for the environment - especially when you are using more than one wipe every night (like I do) to get the job done. 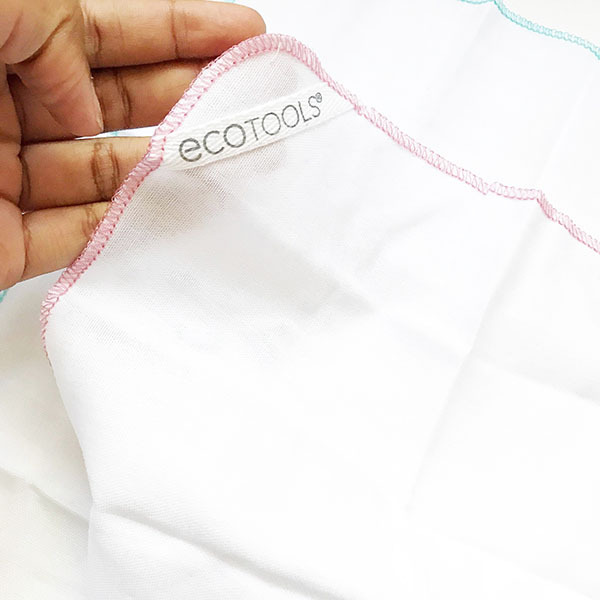 Enter my discovery of ECOTOOLS Polishing Cleansing Cloths. 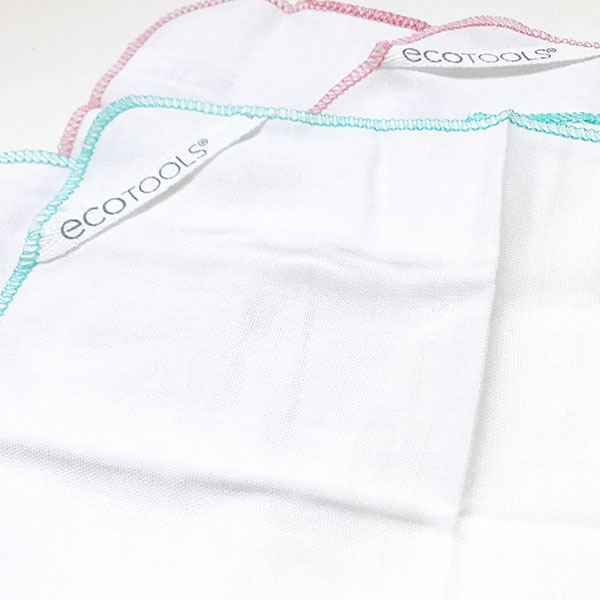 The pack comes with two muslin facial cloths, made with organic cotton, are designed to remove dirt, oil and makeup for fresh and revived skin. This time around, instead of using makeup wipes, I start off with a warm water rinse to my face (no cleansing product) to get some makeup and oil off. Then I apply my cleansing oil/balm as I normally would followed by the damp muslin cloth and water to remove the cleansing oil, following up with my regular cleanser using the damp muslin cloth and water, rinsing the muslin cloth in between. I really like these because they are far less abrasive than your average face cloth but can be washed and re-used like a face cloth. The cloth promises light exfoliation due to its texture but it is still quite gentle for those who may suffer from sensitive skin. Another way I really enjoyed using the cloths for was for removing face masks especially clay masks, in areas around the nose when it is harder to get product off than just your hands alone. Removed makeup, dirt, oil more thoroughly than hands alone. Left the skin feeling SUPER clean. Made cleansing the skin quick and easy. Worked with any type of cleanser. The cloths retail for $10.99 (CDN) for a pack of two on farleyco.ca. I would definitely recommend for those who are looking for that squeaky clean feeling without the abrasiveness and irritation that sometimes comes with other exfoliation tools. What tools do you use to help with cleansing your face? I love this! I'll try it once I run out of my wipes! Totally cost effective. Just wash and Go!